The story of Rabbi Kalman Stern, who lost his wife’s love and obsesses over a letter he found inside a 1697 printing of the Zohar. 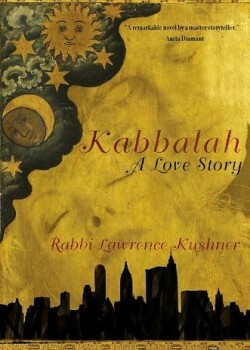 “Kabbalah: A Love Story” is a beautiful book. I enjoyed it while reading, and have continued to think of it often. If John Irving were Jewish, this book could have been written by him. The story of Rabbi Kalman Stern is told on several levels. As a man, he lost his wife’s love and has not found another in two decades. As a scholar, he obsesses over a letter he found inside a 1697 printing of the Zohar, which talks to Kalman’s craving for a meaning—to his life, to Jews, to human suffering in general. This quest for meaning takes him across the paths of other actors, both in the present time of the story and in the past—near and distant. His journey does not necessarily arrive at answers, but clarity somehow emerges, at it often does with the accumulation of life’s experiences—joyous and painful alike. The protagonist, Kalman, is as real as any character across every genre of literature, deep and thoughtful and memorable, and is sourly missed once “The End” comes about. And while the story revolves around Jewish mysticism, history, and the delicious mix of heartache and humor through which the People of the Book have commonly experienced both individual and national life, this novel is written with an artful hand and is accessible to any reader who might lack knowledge of Judaism but appreciates a delightful story.